Whilst it sounds uninspiring, data can provide a huge amount of insight for your digital and content marketing strategies. Data can come from many sources and most is available readily for you to turn into content that effectively targets your ideal audience. If you’ve already got a website, chances are you have got Google Analytics and Search Console (formerly known as Webmaster Tools) set up. You may also be running AdWords campaigns that can give you insight to what people are searching for (versus how your pages perform), and areas for content curation or creation to better target specific terms. We use this data on a regular basis with ongoing digital marketing clients to ensure their content clearly aligns with what real customers want and meets their search needs. You can also employ website tracking for areas of your website that measure user demand, for example the words entered in your onsite search, clicks on your different FAQs or tabbed content. Not only are numbers from these tools useful, but they also also tell you about search volume trends, seasonal changes, mobile trends, locations and competitiveness. This type of information can be used strategically to plan your content strategy for different times of the year, targeting unique audiences geographically and device-wise (such as “researchers” on their first visit to your site, at home using a tablet to compare prices before buying). Other free tools worth checking out include the Google Keyword Discovery Tool, Google Trends, Google Correlate, Moz Open Site Explorer, Social Media platforms such as Twitter & Facebook’s search functionality. 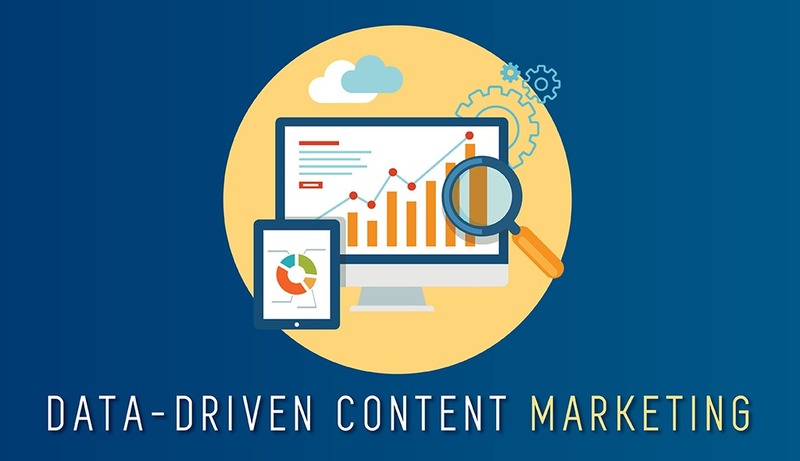 Be proactive about your marketing goals and objectives by organising what you need to track and measure in order to implement an effective content marketing strategy and cultivate a data driven culture. Planning the elements of your content strategy and clarifying the correct technology and tracking that enable the collection of the right data that can help drive change and improvement. A continuous cycle of test, measure and optimise is employed in all data driven content strategies. Assessing and refining your copy, pages, meta data and links is crucial to the ongoing success of your digital campaigns. Strategus are experienced in creating content marketing strategies that are data driven and ROI oriented. Read more about our Digital Strategy or get in touch with us to see how we can help.